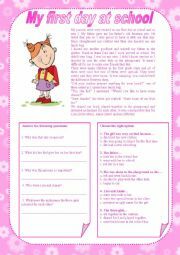 A reading comprehension task for upper elementary pupils and some grammar exercises focusing on Simple Past. 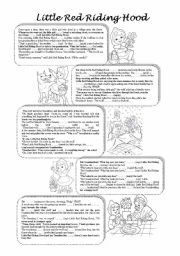 A reading comprehension worksheet or a very basic test for elementary classes. Grammar: Past Simple, regular and irregular verbs. 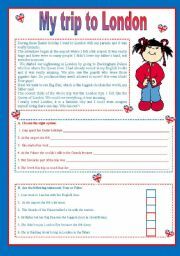 It is a reading and matching worksheet I did to my 3rd graders from primary school. A good way to make them read and revise the topic clothes. 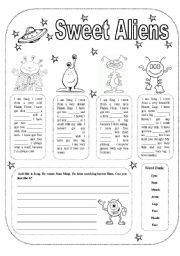 I use this for speaking activities with my first graders. They love it. 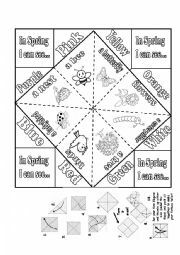 It�s also a good opportunity to revise colours and numbers. A fill in the gaps exercise about the Body with the help of some very nice monsters! 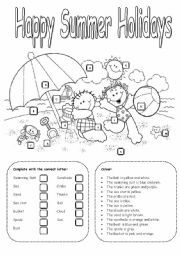 This is a worksheet I did to cover the topic �summer� with my 1st and 2nd graders. I hope it can be useful for you. 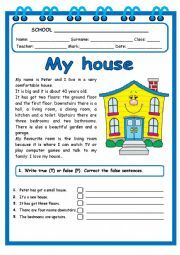 One more worksheet to practise Simple Past.